Recently I became aware of a great interview that NPR station WVXU 91.7 did with Fiber? curator Chelsea Borgman on their program Around Cincinnati. If you have the time you can give the interview/podcast a listen on their website or directly to the February 5th episode here. Fiber? is open until February 26th at the C-LINK Gallery, part of the Brazee Street Studios. 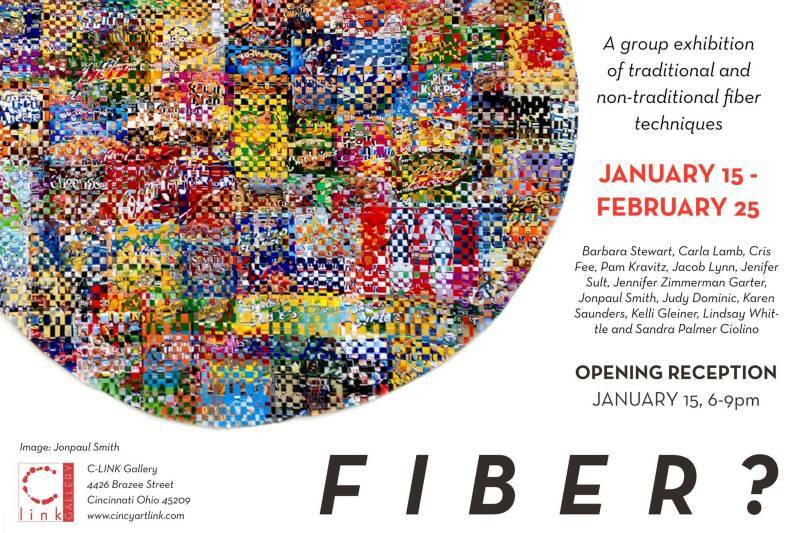 It is a terrific show curated by Chelsea Borgman highlighting a diverse interpretation of the medium fiber.